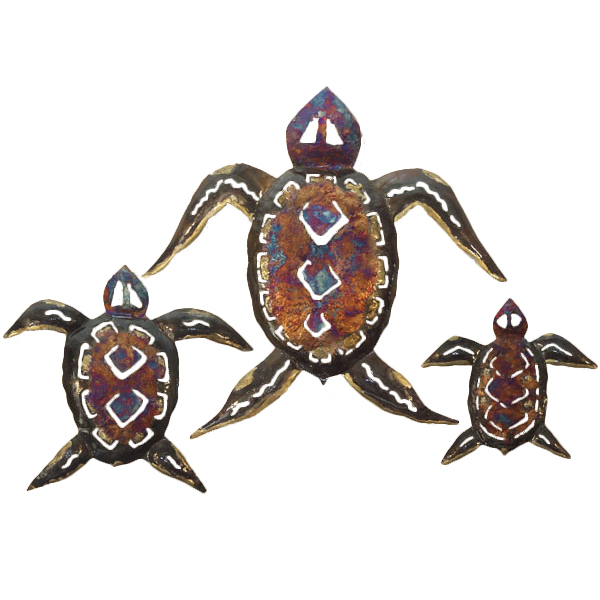 Add style to your walls with the Copper Dripped Turtle Family - Set of 3. This beach wall art is designed with three colorful, detailed turtles to complement your coastal decor. For many more pieces, we ask you to take the occasion to view our complete variety of beach wall art at Bella Coastal Decor today.